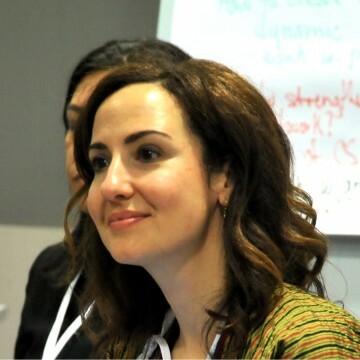 Having started her career as an organizational and management consultant in the private sector, since 2001 Filiz has been working with foundations and NGOs. She is currently a social investment and philanthropy adviser, providing insight and guidance to private donors that are keen to develop and support meaningful, lasting social impact programs. In addition to working on client engagements both independently and in cooperation with other international advisory firms, Filiz is the founding director of the social investment arm of the family office of a leading private equity company in Turkey. Filiz also leads grantmaking programs in Turkey for the New York based EMpower – The Emerging Markets Foundation, focusing on at-risk youth. Between 2007 and 2013, Filiz was founding director of programs and international relations at Sabanci Foundation, one of Turkey’s largest foundations, where she led the development of a new strategy and programs to support NGOs working on youth, gender and disability. Prior to this, she was director of the Turkish Council of Foundations, TUSEV, from 2002-2007, where she led research and non profit law advocacy efforts to create a more enabling environment for civil society. In addition to professional positions, Filiz served on boards of international organizations such as International Center for Not for Profit Law in D.C., an organization that promotes and protects civic space in over 100 countries. During her tenure at Sabanci Foundation, she was elected to serve on the Governing Council of the European Foundation Center. Filiz currently serves as vice chair of the Interaction Institute for Social Change. Ms. Bikmen obtained her Masters in Organizational Psychology at Columbia University, and completed a Post Graduate Fellowship at the Center on Philanthropy and Civil Society at the City University of New York. In 2014, she was named a Richard von Weizsacker Fellow by the Robert Bosch Foundation, which brought her to Berlin, where she examined the civil society strategies, engagements and trends of second and third generation Turkish Germans in their pursuit for social justice and equal opportunities.